LW Aesthetics is an advanced aesthetics clinic offering the highest standards in facial aesthetic treatments to the Stockport and surrounding areas. Clients can be assured of complete privacy and discretion at our private clinic away from the high street. 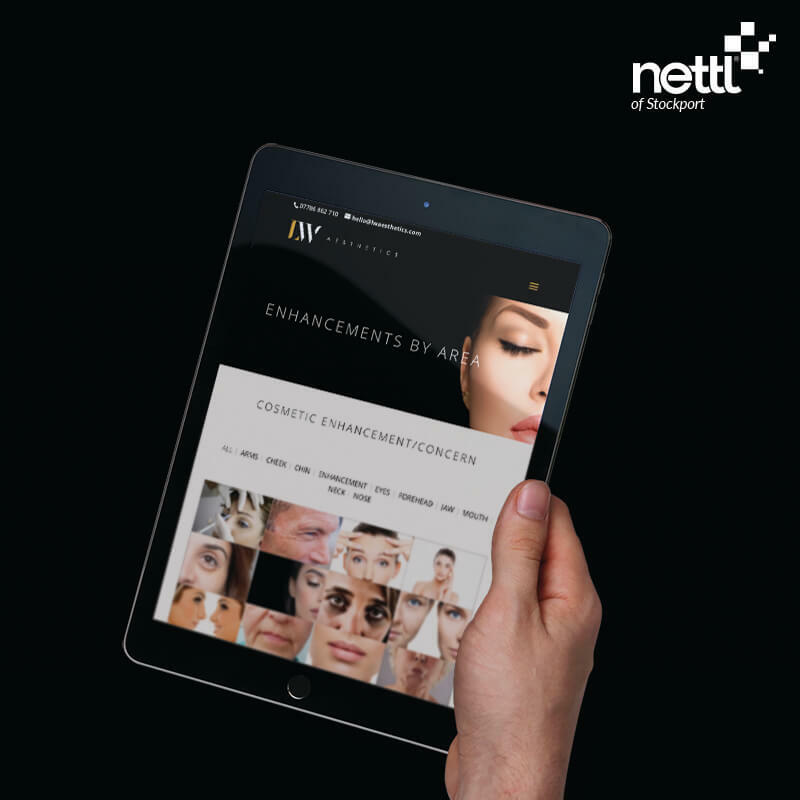 LW Aesthetics is a start-up enterprise that required a beautiful website that clearly displayed all the treatments offered as well as guides on pricing, patients journey and frequently asked questions. It was also important for the client to be able to easily add and update treatments and blog articles, as well as clients being able to contact her via the website. 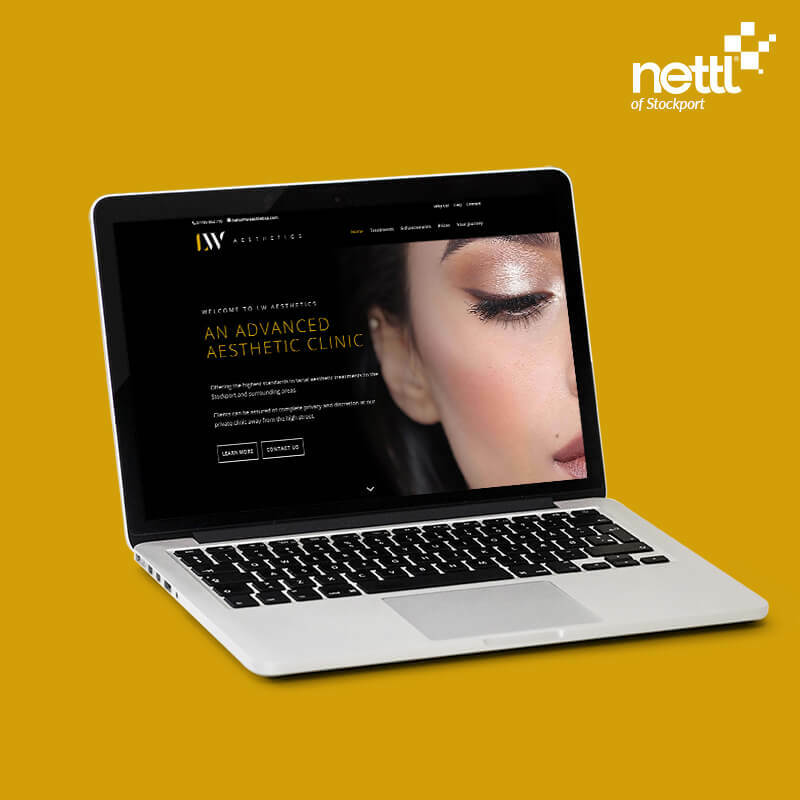 Nettl of Stockport designed this elegant but minimalist website which emphasised everything LW Aesthetics has to offer. 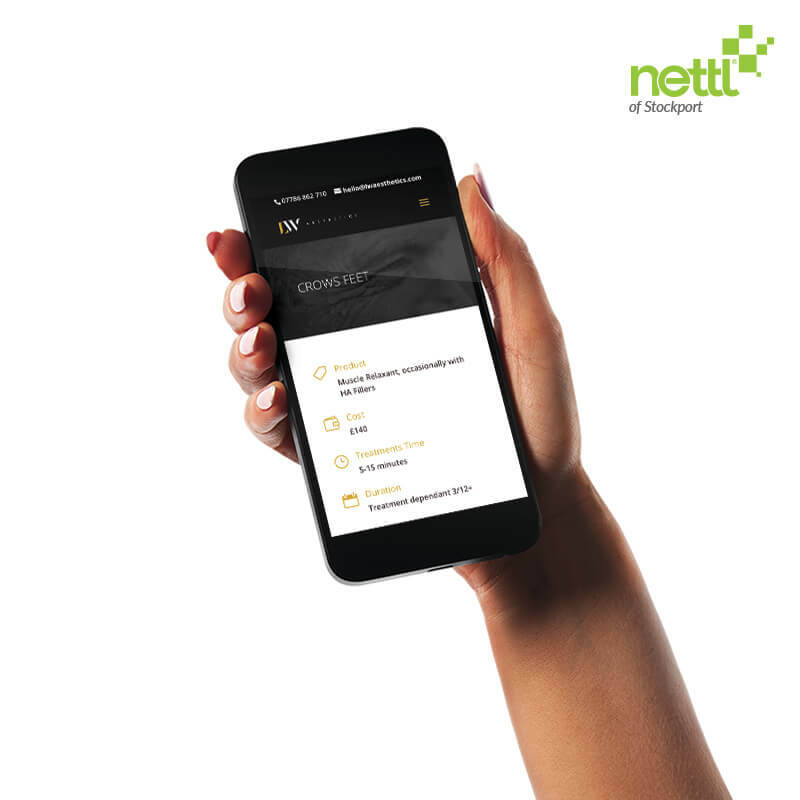 It is simple to navigate, and looks fantastic on all devices.